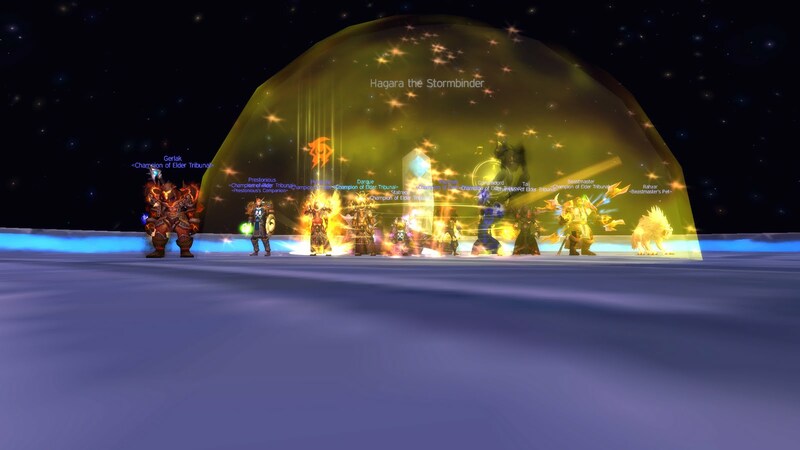 Elder Tribunal has been hard at work this week, taking their first stabs at the new raid, the Dragon Soul. 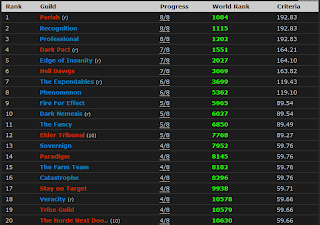 Groups are progressing quickly through this new content, downing many new bosses and securing the realm's 12th Ultraxion kill, putting us at 12th on the Server, and 4th Horde side, as shown in the screenshot above. However, with everyone itching to keep progressing, very little time was taken to document the progress, though we did manage to sneak in a screenshot after Hagra. Well done to all, and enjoy your new loot!